Artist: Henry AsencioTitle: AdorationHand Embellished Limited EditionSize: 36" x 30"Edition of: 195Status: SOLD OUT AT PUBLISH.. Artist: Henry AsencioTitle: Afternoon LightHand Embellished Limited EditionSize: 40" x 30"Edition of: 195Status: SOLD OUT AT P.. Artist: Henry AsencioTitle: AscendingHand Embellished Limited EditionSize: 40" x 30"Edition of: 195Status: SOLD OUT AT PUBLISH.. Artist: Henry AsencioTitle: BeholdingHand Embellished Limited EditionSize: 36" x 30"Edition of: 195Status: SOLD OUT AT PUBLISH.. 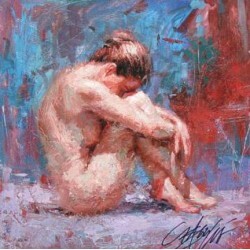 Artist: Henry Asencio Title: Blue Rhapsody - (Trilogy 1 of 3) Hand Embellished Limited Edition Size: 32" x 12" Edition of:.. 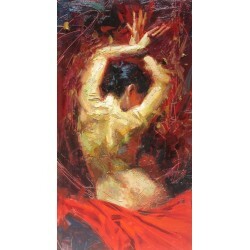 Artist: Henry Asencio Title: Celebration Hand Embellished Limited Edition Size: 32" x 22.5" Edition of: 195 Status: Avaia.. 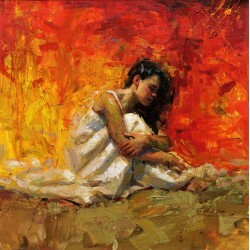 Artist: Henry Asencio Title: Comfort - Artist Proof Hand Embellished Limited Edition Size: 30" x 40" Edition of: 195 Stat.. 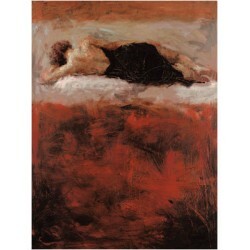 Artist: Henry Asencio Title: Comfort - Publisher Proof Hand Embellished Limited Edition Size: 30" x 40" Edition of: 195 S.. Artist: Henry AsencioTitle: DawnHand Embellished Limited EditionSize: 40" x 30"Edition of: 195Status: SOLD OUT AT PUBLISHER - .. 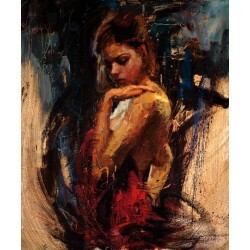 Artist: Henry AsencioTitle: DaydreamHand Embellished Limited EditionSize: 30" x 30"Edition of: 195Status: SOLD OUT AT PUBLISHE.. 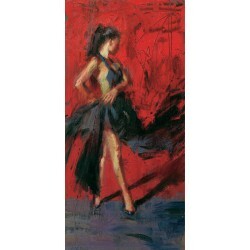 Artist: Henry AsencioTitle: EleganceHand Embellished Limited EditionSize: 30" x 19"Edition of: 195Status: SOLD OUT AT PUBLISHE..
Elegance of the Night Artist: Henry AsencioLimited Editions Giclee on CanvasHand Embellished Fine Art PrintSize: 14" x 28"Edi.. 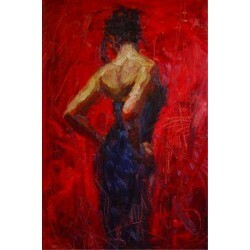 Artist: Henry AsencioTitle: EmbraceHand Embellished Limited EditionSize: 33.75" x 15"Edition of: 195Status: SOLD OUT AT PUBLIS.. Artist: Henry AsencioTitle: EmergingHand Embellished Limited EditionSize: 40" x 40"Edition of: 195Status: SOLD OUT AT PUBLISHE.. 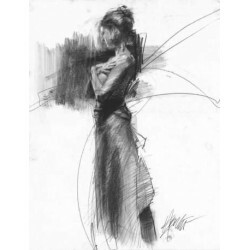 Artist: Henry AsencioTitle: Evenings Embrace- Charcoal DrawingHand Embellished Limited EditionSize: 22" x 17"Edition of: 195St..
Flamenco Artist: Henry AsencioLimited Editions Giclee on CanvasHand EmbellishedSize: 24" x 12" | Edition of 195.. Artist: Henry AsencioTitle: GloryHand Embellished Limited EditionSize: 16" x 16"Edition of: 195Status: SOLD OUT AT PUBLISHER -.. 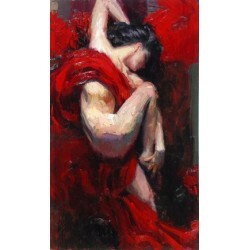 Artist: Henry Asencio Title: Graceful Splendor - (Trilogy 2 of 3) Hand Embellished Limited Edition Size: 32" x 12" Edition.. 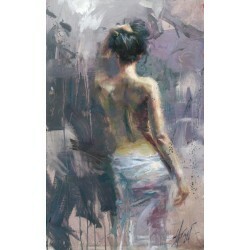 Artist: Henry AsencioTitle: HavenHand Embellished Limited EditionSize: 30" x 16.5"Edition of: 195Status: SOLD OUT AT PUBLISHER.. Artist: Henry AsencioTitle: IlluminationHand Embellished Limited EditionSize: 30" x 40"Edition of: 195Status: SOLD OUT AT PUBL.. 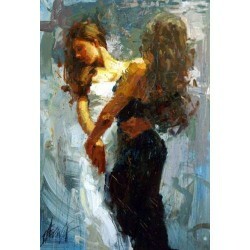 Artist: Henry Asencio Hand Embellished Limited Edition Giclee on Canvas 24" x 36" Edition of 195 “Like many people, I feel th.. Artist: Henry AsencioTitle: InnocenceHand Embellished Limited EditionSize: 42" x 26"Edition of: 195Status: SOLD OUT AT PUBLISH.. 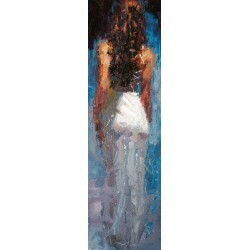 Artist: Henry AsencioTitle: InspirationHand Embellished Limited EditionSize: 30" x 16.5"Edition of: 195Status: SOLD OUT AT PUB.. 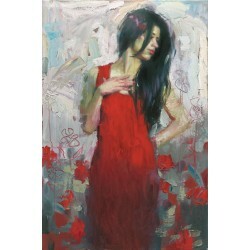 Intrigue Artist: Henry AsencioLimited Editions Giclee on CanvasHand Embellished Fine Art PrintSize: 24" x 30"Edition of 195+ ..
Italia Artist: Henry AsencioLimited Editions Giclee on CanvasHand EmbellishedSize: 24" x 12" | Edition of 195.. Artist: Henry AsencioTitle: Mornings Repose - Charcoal DrawingHand Embellished Limited EditionSize: 22" x 17"Edition of: 195St.. 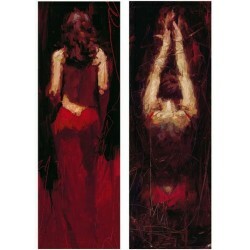 Artist: Henry Asencio Title: Passion Suite - Seduction & Surrender (2 pcs.) Hand Embellished Limited Edition Size: 33" .. 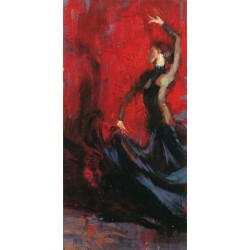 Perfect Storm Artist: Henry AsencioLimited Editions Giclee on CanvasHand Embellished Fine Art PrintSize: 1" x 28"Edition of 9..
Prelude to a Treasure Artist: Henry AsencioLimited Editions Giclee on CanvasHand Embellished Fine Art PrintSize: 14" x 28"Edi.. Artist: Henry AsencioTitle: Recognition APHand Embellished Limited EditionSize: 30" x 22.5"Edition of: 25Status: SOLD OUT AT P.. Artist: Henry AsencioTitle: Red DoorHand Embellished Limited EditionSize: 36" x 48"Edition of: 195Status: SOLD OUT AT PUBLISHE..